In OroCRM, every lead can be qualified into an opportunity, or disqualified, if it is clear that the deal is not going to progress. 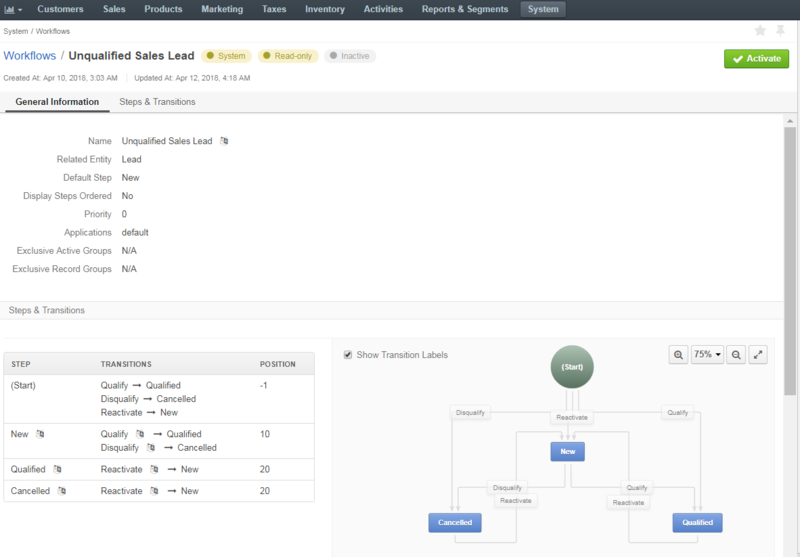 You can qualify leads either using the actions on the lead page, or using the steps and transitions of the enabled system Unqualified Sales Lead workflow. This workflow represents the alternative user experience and sequence of the lead qualification process, and is by default disabled. The Unqualified Sales Lead workflow is a system workflow and cannot be edited or deleted. Converting a lead into an opportunity means that you are qualifying it as a potential deal. Once the lead is converted into an opportunity, it is marked Qualified and is no longer available in the Open Leads table.